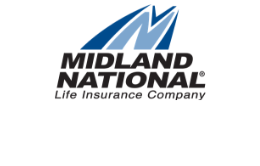 1996 marked Midland National’s 90th anniversary with a year-long celebration that was highlighted by a special birthday party from September 5–8. As a key part of Midland National’s 90th Anniversary, the historic Rock Island Depot was fully restored to house Midland National’s Hall of Fame and provided additional office space for the company. Charter members of the Hall of Fame were inducted at a ribbon-cutting ceremony.